limited functionality and you were forced to have a terminal window open while playing. that includes most if not all the functionality of the official clients (and maybe more). This client can be updated by running the file "update-runescape-client". It will download the windows(or mac) client and extract the jagexappletviewer.jar and replace the one currently in use. Supports running on Windows by downloading the required files with "Download-Windows-Files.exe" which downloads perl, grep and wget for windows, along with .bat files and a native launcher to execute the unix client perl scripts on windows. Ability to add/generate native launchers for MacOSX, Windows, Linux, BSD, Solaris and Unix. Once the client is downloaded you can install the menu entries by running the "install-desktop-icons" file. Or just run the client without installation by doubleclicking the runescape file and choose run. Below the download link are some images of the client running on several different systems. download and extract the required file from the newer clients provided by Jagex. 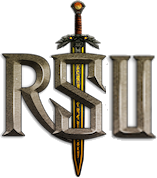 and the /opt/runescape/runescape and /opt/runescape/update-runescape-client scripts should then be symlinked to /usr/bin otherwise you might risk it will not work as expected! The video below will show how to install the client from the repository on Ubuntu based distributions. Installing from the repository will let you get automatic updates through your update manager.